JOHN C. LACY is a Shareholder in the Tucson office. His practice emphasizes mining and public land law and encompasses transactional and title consideration involving acquisition of mineral rights from private and governmental agencies together with permitting issues and associated water rights. Mr. Lacy also devotes a substantial portion of his time representing a telecommunications client. A significant amount of Mr. Lacy’s historic practice is devoted to international mineral transactions, and he assisted in the revisions to the mining law of the Republic of Bolivia and the English translation of the mining laws and regulations of Mexico. 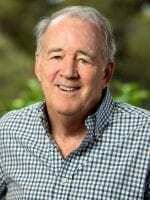 He has taught courses on mining and public land law, oil and gas law, and mining transactions at the University of Arizona Rogers College of Law and in the Department of Mining and Geological Engineering as an Adjunct Professor from 1976 to the present. He is the author of numerous publications concerning mineral rights and mineral law history and occasionally testifies as an expert witness on these subjects. These publications include a portion of the American Law of Mining, 2d, published by the Rocky Mountain Mineral Law Foundation, dealing with mineral management of state trust lands. Mr. Lacy is a past President of the Rocky Mountain Mineral Law Foundation and the Arizona Historical Society. He graduated from The University of Arizona College of Law in 1967 and was admitted to the Arizona Bar that same year. He served in the United States Army’s Judge Advocate General’s Corps in Vietnam during 1969-70.